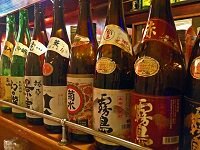 Niigata Ponshukan is a great place to sample over 90 of the various leading sake brands of Niigata. Just a short walk away from Niigata Station, the Ponshukan offers 5 sake samples for only ¥500 ($5). 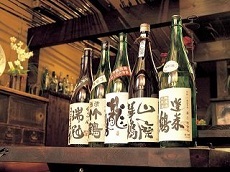 This sake heaven also offers miso, salts, and other palate cleansers to enjoy between samples. For added fun, guests who sample all the types are rewarded with their name on the wall. 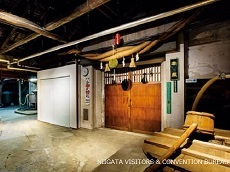 In addition to the sake-tasting corner, there is also a Sake Bath, where guests can enjoy a relaxing hot-spring dip, a restaurant, and souvenir shop. The souvenir shop carries all the sake available at the sake-tasting corner, so you can take a bottle of your favorite with you. 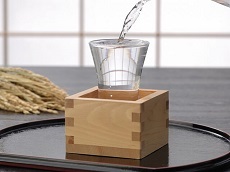 The store also offers various Niigata specialties and goods from rice crackers to sake cups. 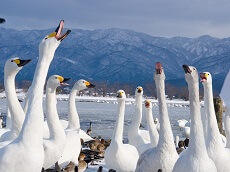 We can even create special Sake Japan tours through Niigata to include time at the Ponshukan after your vacation in Tokyo with Japan Deluxe Tours!